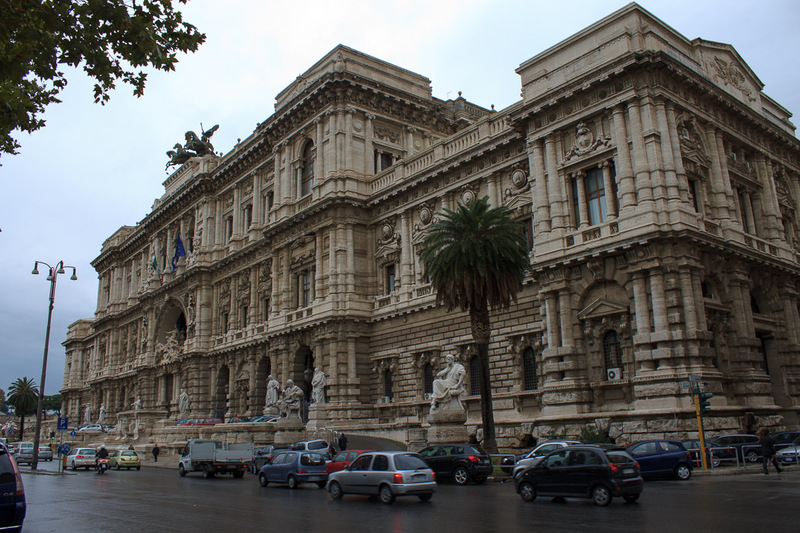 The Roman Hall of Justice is just a cool-looking building along the Tiber River just east of Castel Sant'Angelo, on the north end of Ponte Umberto I. 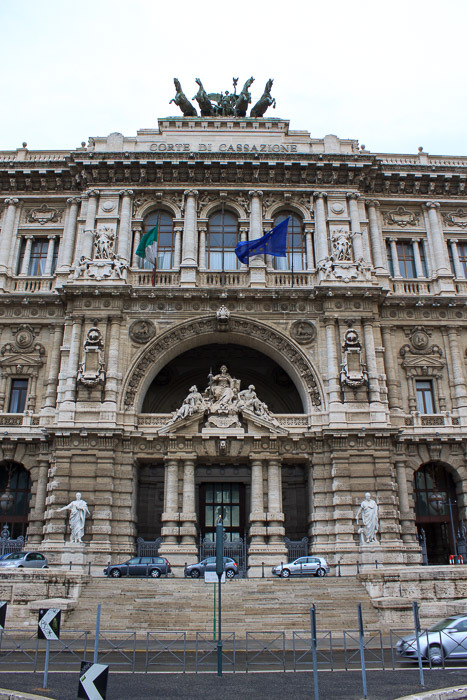 Built between 1888 and 1910, it is the seat of the Supreme Court of Cassation and the Judicial Public Library. The building is huge, 550 feet by 510 feet, and a look at Google Maps shows 13 interior courtyards. The central half of the front of the building (facing the Tiber River, at the northern end of Ponte Umberto I) is the part I find so cool to look at, and if you're walking past this location anyhow, the building is definitely worth a quick look. Practically next door, to the east, is the Sacred Heart of Suffrage church. See all Roman Hall of Justice photos.